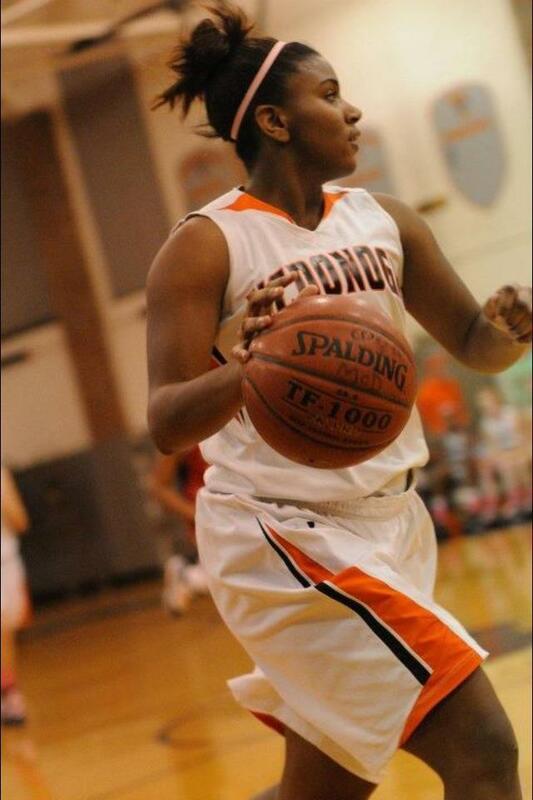 Brianna Jacobs is an intellingent and tough 5'9" forward who has a knack for making the right play. This 2014 baller is trying to help McDonogh win another IAAM A conference championship or two before she moves on to the next level at Central Connecticut State. Brianna: Basketball runs in the family so I pretty much started playing when I was 5 in a little league, then I started AAU when I was 8, playing with the MD Sureshots. Brianna: Yes; Volleyball, track & field, lacrosse, and soccer. Brianna: I grew up in Glen Burnie, MD. Brianna: I like to sing; I'm in my church choir and an acapella singing group at my school. Brianna: want to improve my jump shot and ball handling. Brianna: The time my team went swimming the night before our championship game and my coach (Ron James) was furious. Luckily, we won the game that morning so now we can look back and laugh at it. Brianna: For high school: To help lead my team to winning a second straight championship. 695: Im more comfortable playing the 4, but because of my height, I'm working on being more comfortable at the small forward. 695: What type of music do you have on your iPod? Brianna: I like r&b, hip hop, gospel. artists like Beyonce , 2 Chainz, Drake, Kirk Franklin, Frank Ocean. Brianna: Dwight Howard and Candice Parker. 695: Who is the biggest trash talker you have ever played with? 695: How did you decide on Central Connecticut State? Brianna: Well the first thing I really liked was the campus. I was aiming for a smaller college and CCSU was perfect. Most importantly though, I really loved the program and the coaching staff. I got to meet with the athletic director also and he told me a lot of great things about the school. I love how they're all about creating a strong team full of players with not only great character but hard work ethics as well and they believe that with those things and a strong team bond they will reach their goal of getting a championship. I just loved what they were about and I really wanted to be apart of that. Not to mention, I got a chance to walk around with a few of the players and we immediately connected. That's how I knew Central Connecticut was the right school. It feels like home. 695: Thanks for your time and good luck.